Here’s to raising a glass and wishing you all a happy, healthy and prosperous New Year. Happy New Year and lots of love from Yianni and I. 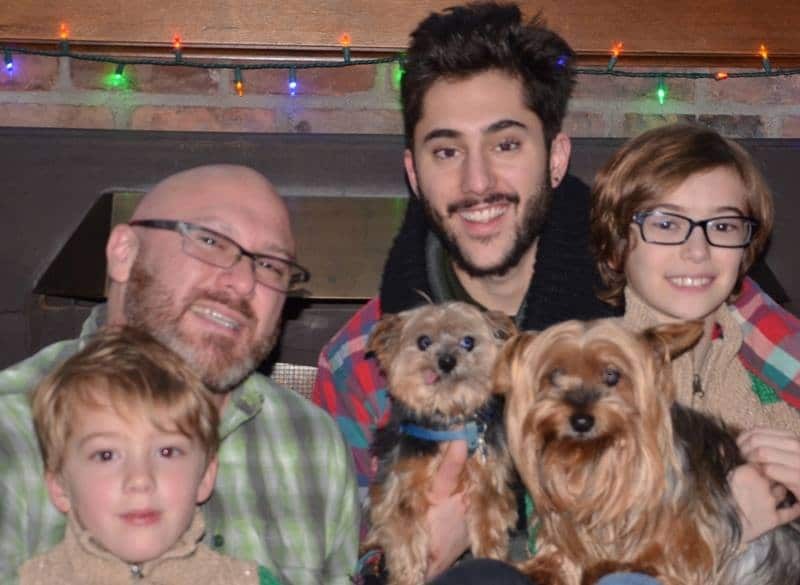 Love from Ben, Jason, Rahbi, Max, and also our Yorkies, Stanley and Stella. If you are wondering if the little boys and I made our annual Christmas koulouria, the answer is yes, of course! Can you find which are mine? Which ones are made by the boys? Here’s the recipe. Happy New Year! 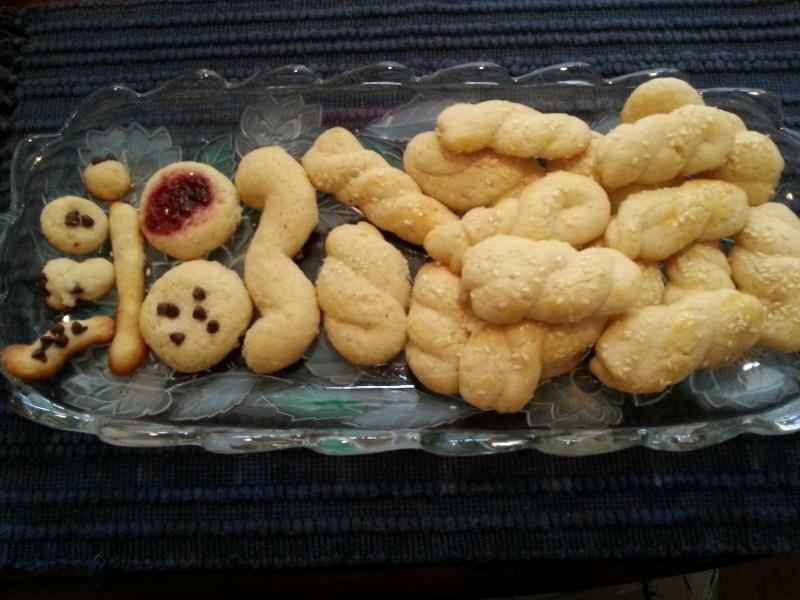 My Mother’s recipe for Greek butter cookies. Add in cream, vanilla, oil and zest. In a separate bowl, mix the rest of the dry ingredients. Slowly add dry ingredients to form a firm but pliable dough. Then fold in half and twist into a braid like cookie. Brush tops of cookies with egg wash and sprinkle with sesame seeds.